There’s nothing like a good road trip. Especially when driving past active volcanoes, blue icebergs, roaring waterfalls, and magical northern lights on Iceland’s Ring Road adventure. If you’re searching for an unforgettable adventure travel experience, a road trip around Iceland’s Ring Road will not disappoint. The country is visually captivating in a way I’ve not seen elsewhere. Lurking around every bend a stunning new Icelandic landscape reveals itself. 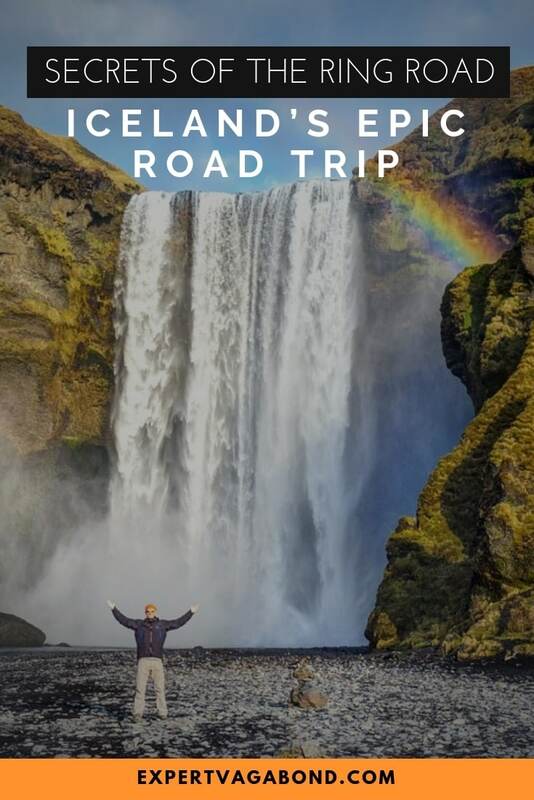 Renting a car and self-driving Iceland on the Ring Road exposes you to bubbling geothermal springs, sparkling rainbows, beautiful horses, icy glaciers, massive waterfalls, and rugged mountains day after day. 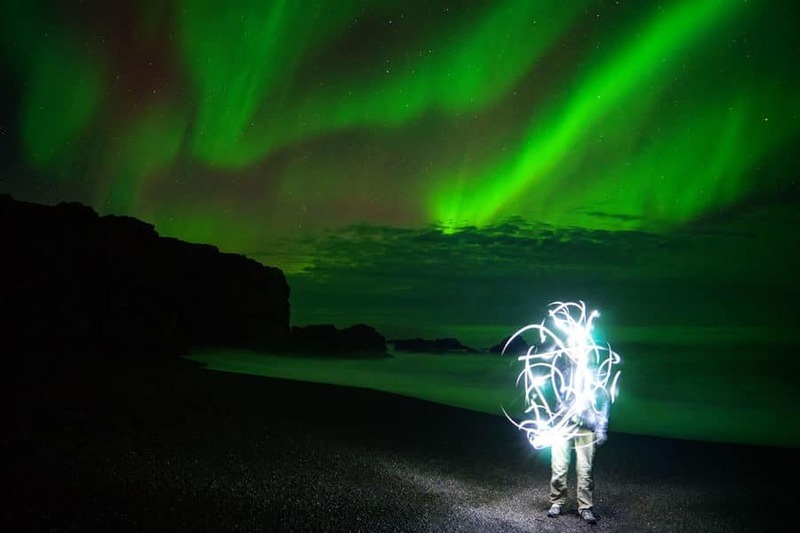 If you’re lucky, you may even catch the magic of the northern lights too! Now throw in the occasional ice cave or even an erupting volcano, and you’ll start to appreciate what traveling in Iceland is actually like. However, you must experience this country for yourself to understand! In this travel guide I’ll help you get the most out of a self-drive ring road adventure. Learn how to prepare, where to stay, and the best things to see in Iceland! This itinerary is completely free! I’ve worked hard putting it together for you. If you find it useful, I would appreciate it if you use the affiliate links provided when you book hotels, rental cars or activities. If you do, I get paid a small commission, at no extra cost to you! Above you’ll find a map of my itinerary for Iceland’s Ring Road. Click on the top left of the map to find separate layers marking the route and points of interest. You can hide and show different layers, or click icons on the map to see the names of places I mention in this travel guide. “Star” the map to save it to your own Google Maps, or open the map in a new window for a larger version. Enjoy! If you haven’t figured it out by the map above, Iceland’s Ring Road encircles the entire country covering over 800 miles on Route 1. While you could technically drive the whole thing in less than 24 hours, the reality is it will take you at least a week with stops on along the way. This is because you’ll be stopping a lot. Like every 5 minutes! The photography opportunities in Iceland are unbelievable, and you’ll find yourself constantly pulling over for photos. I gave myself 10 days in Iceland, with 7 full days to drive the Ring Road itself. Looking back I wish I had made spent an extra few days on the Ring Road. While 7 days is possible, you’ll be moving non-stop, and will miss a few highlights. Especially if you have a bad-weather day. Because the weather is definitely a factor in Iceland, with sudden snowstorms common in the spring, fall, and winter. The best site to book your car is with Discover Car Hire. They search both local and international car rental companies to help you find the best possible price. 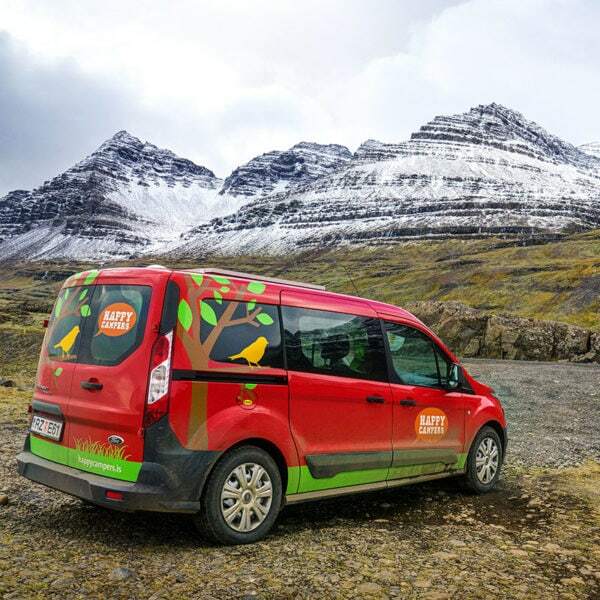 This is the easiest way to rent a car for driving in Iceland. There are bus tours that drive the route, but a self-drive tour is the better way to go in my opinion. You can stop anywhere you want, for as long as you want, giving you complete freedom. I drove the ring road in Iceland while living out of a Happy Campers van. The major benefit to renting a campervan is that it covers your accommodation. Traveling by campervan was perfect for maximizing my time exploring & photographing landscapes. 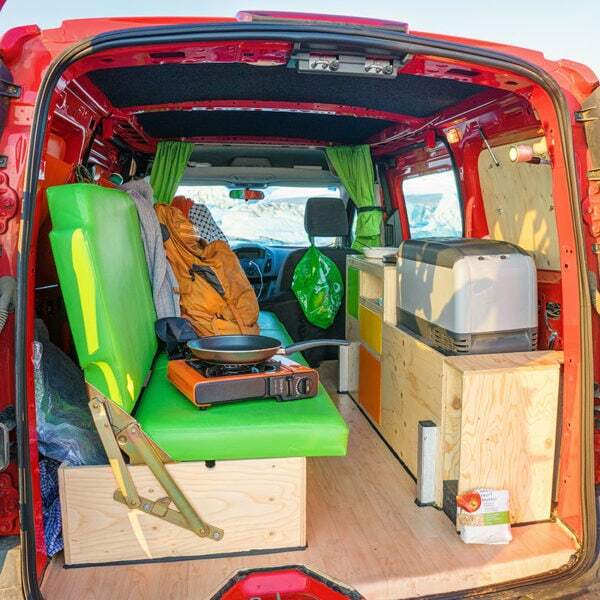 My van was equipped with a fold-down bed, sink with running water, electric cooler, gas grill, battery-powered heating system and a large solar panel. 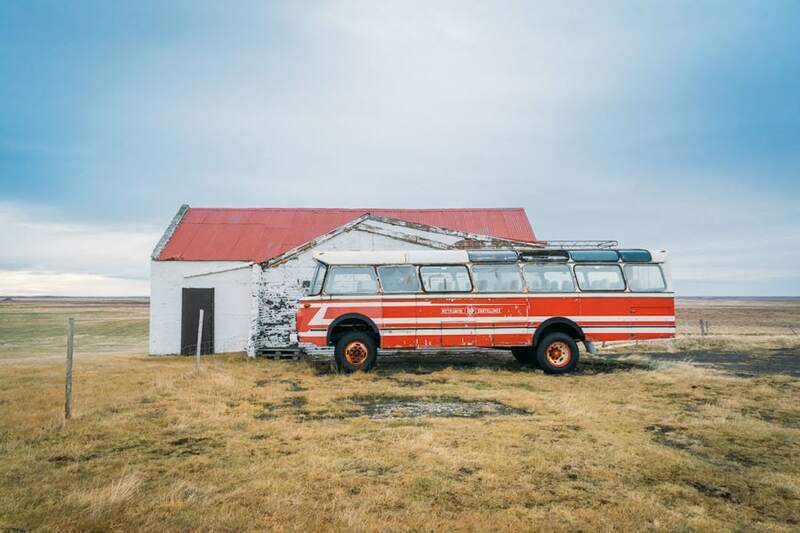 UPDATE: Since writing this article, Iceland implemented new laws that restrict where you can spend the night in a campervan. You can no longer pull over and spend the night anywhere. You must park at campgrounds. 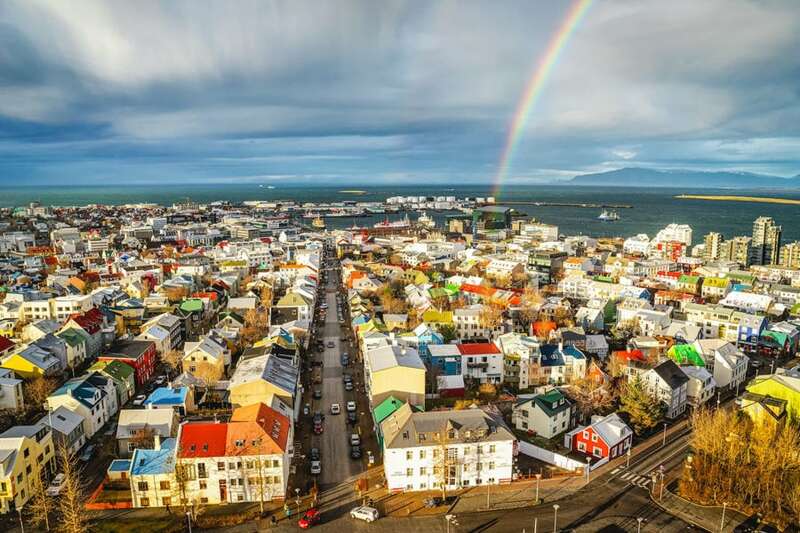 Most travelers start their Ring Road drive from Keflavik International Airport, others spend a few days exploring Reykjavik from a hotel first. You can drive the route in a clockwise or counterclockwise direction, but I recommend driving counterclockwise to hit the most touristy parts of Iceland first. Gas is expensive in Iceland at $2 USD per liter ($7.50 per gallon). Gas stations are easy to find around towns, but in the countryside, they are less frequent. Some foreign credit cards may need to be used inside rather than at the pump. Fill up whenever you can, especially in winter, just in case you’re stuck in a snowstorm overnight. Gas for the entire ring road journey cost me about $300 USD. Stock up on groceries before you leave for your road trip, because food in Iceland is expensive. There’s a famous budget supermarket called Bónus that’s perfect for this. You can’t miss it — the logo is a giant cartoon pig! Many gas stations along the ring road also offer pre-made sandwiches, hot soup, and basic groceries for sale too. So you can buy some general food supplies along the way. If your cellphone is unlocked, you can buy a local prepaid Icelandic SIM card from the Vodafone store at Kringlan Shopping Mall in Reykjavik. This gives you access to GPS maps, internet data, emergency services, and local weather reports. I’d recommend picking a few highlights and loosely planning your journey around them. Most people start their Ring Road adventure from Reykjavik or Keflavik Airport. Below you’ll find my suggested 7-10 day itinerary with highlights you shouldn’t miss, good places to stay for the night, plus a few adventure activities that must be booked in advance. The Golden Circle is a short 1-day road trip that starts from Reykjavik which I covered in a separate article. This 300 km (190 mi) route covers many beautiful Iceland landmarks in a short period of time, so it’s perfect for people on a long layover. It’s a good place to start a longer ring road adventure too because the attractions are some of the most visited in Iceland. I’d recommend getting these out of the way first before heading out into the more remote (and less crowded) parts of the country. The location of Iceland’s first Parliament, and where the North American & Eurasian tectonic plates are slowly splitting apart from each other. 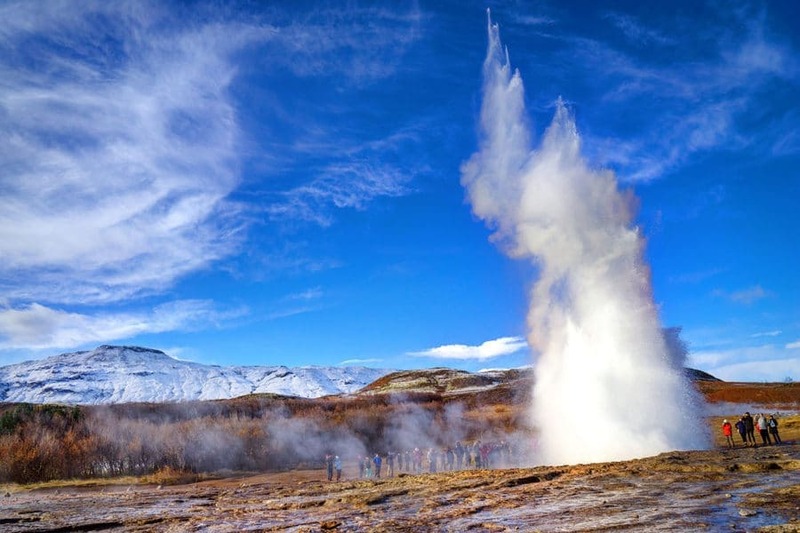 An impressive geothermal area featuring two natural geysers that erupt on a regular basis. Churning boiling water that smells like eggs. This wide & fast-moving river turns a corner and falls 100 feet into a huge waterfall, producing thick mist & frequent rainbows. Your next stop is perfect for incredible sunrises, so wake up early! Seljalandsfoss Waterfall [MAP] rises some 200 feet in the air, with a short hiking trail that takes you behind the waterfall itself. Shooting photos behind the waterfall at sunrise can be difficult with all the spray though. Another good photo location is from a hill on the right, just be careful because it’s slippery climbing up. 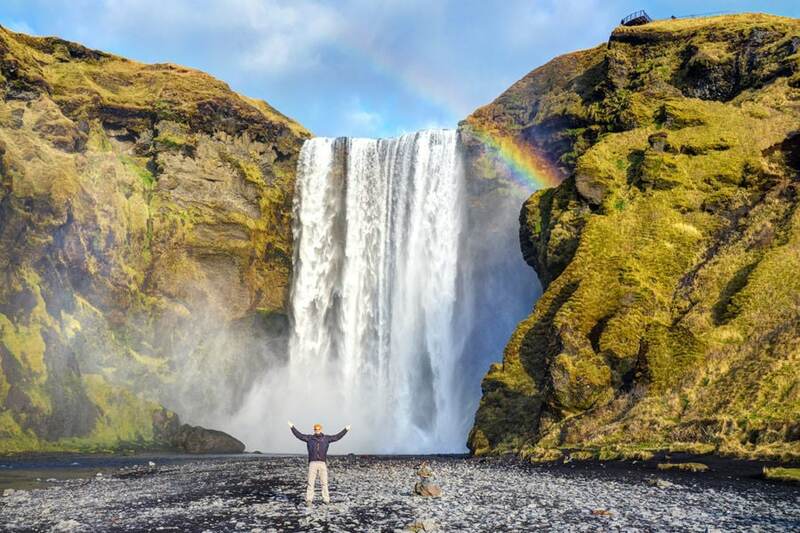 After that you can drive to Skógafoss [MAP], another massive & beautiful waterfall only minutes away. About the same height as Seljalandsfoss, but much wider and more powerful. Colorful rainbows are a common occurrence here. A wooden stairway brings you to a viewing platform on the top. One activity you can’t do on your own is hiking glaciers. If you’ve never hiked a glacier before, I highly recommend it! 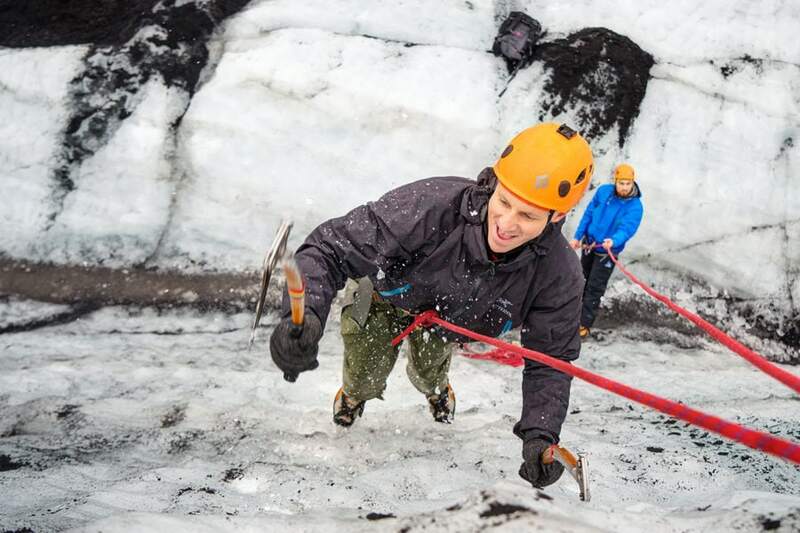 The guys at Arctic Adventures have a few different glacier hiking trips that include ice climbing. If you’re driving the Ring Road, you can book a trip and just meet your guide at the glacier. 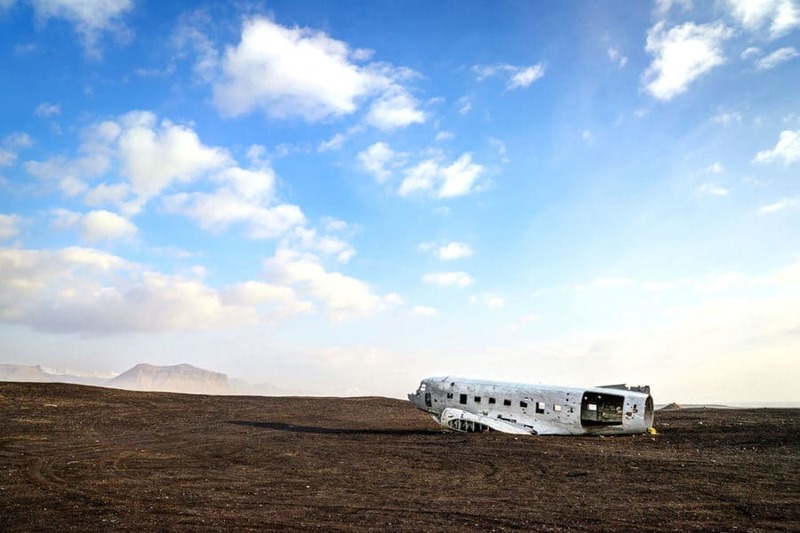 The abandoned airplane wreckage on Sólheimasandur Beach is one of Iceland’s most iconic photography locations. Back in 1973 a United States Navy DC-3 crashed on the beach here. The plane has been used in a bunch of music videos making it famous. You can park your car and hike out to the plane on foot and explore what remains. Check out my detailed directions if you’d like to see this famous spot first-hand! 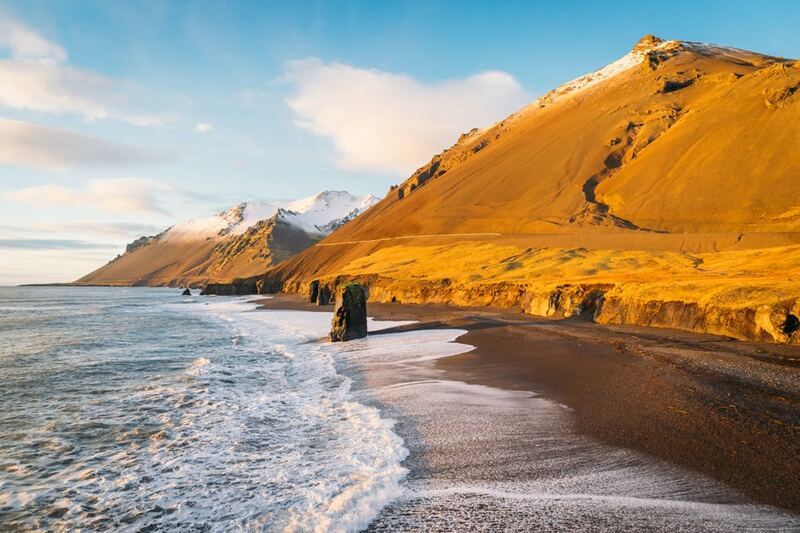 Often referred to as the world’s most beautiful black sand beach, Reynisfjara is a must-visit location for travelers. This wild, rugged beach was created by lava mixing with ocean water. I wouldn’t recommend sunbathing on this beach, but you will get some amazing photo opportunities here. From the black beach itself to the cliffs, caves and basalt columns, Reynisfjara is very impressive. This majestic canyon came to life approximately 9,000 years ago as a result of progressive erosion. I was thrilled by the opportunity to walk inside this narrow, winding canyon. However, if you want to avoid wading through water, I suggest enjoying its natural beauty from the walking path above Fjaðrárgljúfur Canyon. Be aware that the path is steep, but the view is more than worth the effort. The black basalt columns that flank the narrow flow of water from Svartifoss (aka the “Black Waterfall”) will make you feel like you’ve discovered an alien planet. Depending on whether you want to take the direct or more circular route, you can expect to walk for at least 2 miles to reach it. You can’t enter the actual waterfall area, but you’ll get close enough for great photos. Breiðamerkurjökull glacier is slowly melting, with giant blue-tinted icebergs breaking off and floating into a large lagoon called Jökulsárlón. The ice collects on its shores, while some pieces continue on and drift out to sea. Jökulsárlón glacier lagoon is such a cool place (pun intended) that you can easily spend most of the day here. Don’t forget to visit the ocean beach nearby, where some icebergs get pushed on shore due to waves. 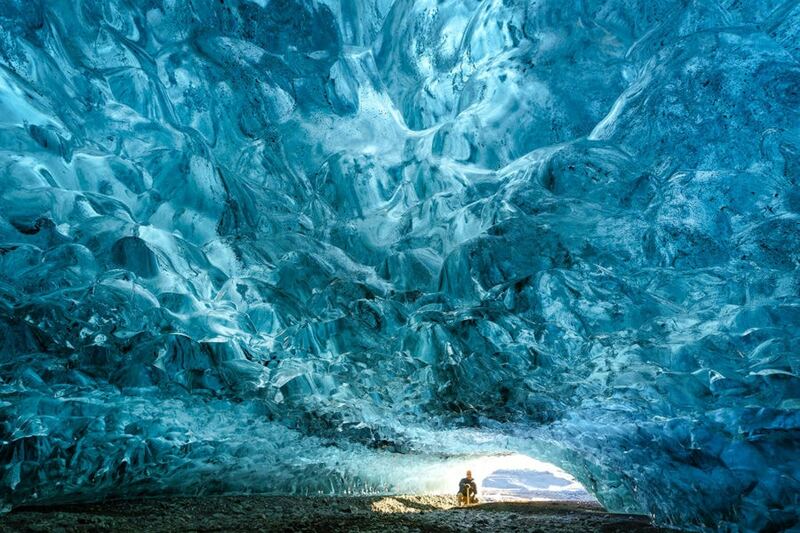 If you’re traveling in Iceland for photography, you can’t miss the crystal ice caves under Vatnajökull glacier. Meltwater creates these intricate natural ice tunnels, with sunlight filtering through the ice giving them a blue tint. Iceland’s crystal ice caves can be difficult and treacherous to reach, so you’ll need to hire a guide. For safety reasons, you can only visit them in the winter too (starting in November) when the ice has hardened up and the risk of collapse is low. Ok, now you’re officially in the middle of nowhere. Eastern Iceland is an untamed wilderness of rocky mountain peaks, winding black-sand coastlines, and quickly changing the weather. There’s a lot of driving here without many towns (or people). You’ll be weaving in and out of fjords all day. Pump up the jams and enjoy beautiful Icelandic views. Most people stop to spend the night in the town of Egilsstaðir. While it may not have many people, Eastern Iceland is home to many sheep & reindeer. Yup. Reindeer! Make sure to keep your eyes on the road, because a herd can suddenly cross your path without warning. Pay special attention at night or in bad weather. In the winter the sheep will be fenced in, but in the summer and fall, they roam free through the countryside. You should be searching for the Northern Lights every evening while driving the Ring Road, however, on the East coast they were especially good for me. During my 7 day adventure, I lucked out with 3 nights of strong aurora activity and clear skies. Night driving will actually improve your chances of spotting them. Here’s a post I wrote with tips for finding & photographing the Northern Lights in Iceland. Fáskrúðsfjarðargöng tunnel (I dare you to say it out loud!) is 4 miles long and seems like it will never end. When it does, you’ll eventually be in the Highlands of Iceland. A barren stretch of a high plateau. In the winter it’s covered in snow, and Route 1 is the only safe road to travel on. In the summer you can explore more with a 4×4. Dettifoss [MAP] is the largest waterfall in Iceland (and Europe) by water volume. Imagine the visual and auditory impact of more than 132,000 liquid gallons rushing past you every second! It’s equally beautiful and overwhelming. Most tourists go to the waterfall’s west side, but the east side is even better for photos. If you have the time, it’s definitely worth a stop. It’s very impressive, but also very dangerous if you get too close to the edge. Especially if the rocks are wet. Be careful! 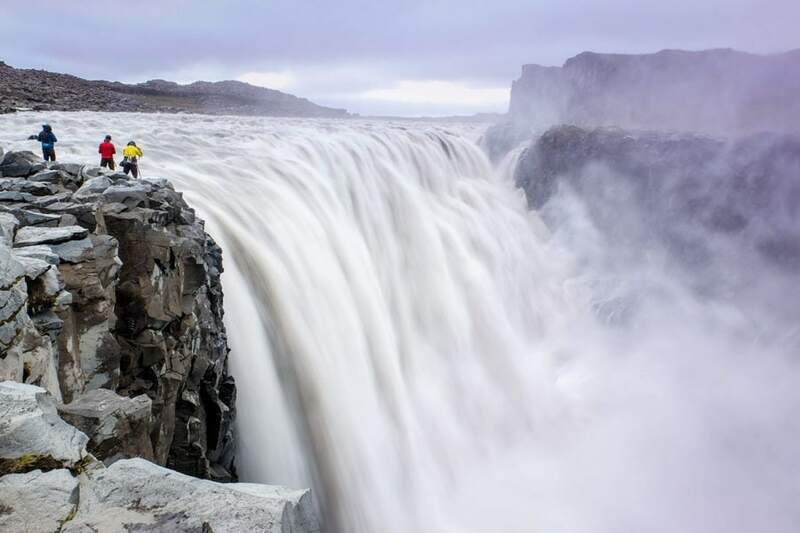 Godafoss Waterfall is famous for several reasons, including its impressive width of almost 100 feet. More importantly, if you go here at night during the right time of the year, you can photograph the Northern Lights over the water. It doesn’t originate from a very tall height, but Godafoss has width and power that reminded me of Niagara Falls. 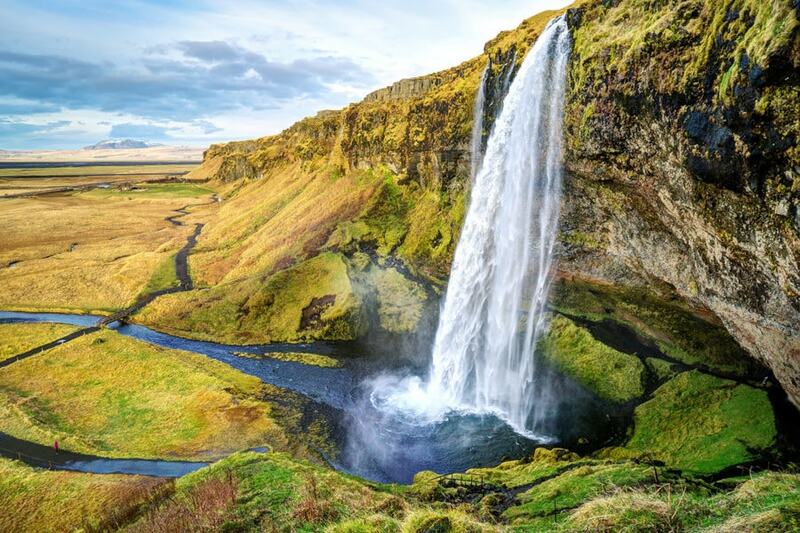 This attraction is known locally as the “Waterfall of the Gods” due to an Icelandic legend involving Norse statues and the area’s conversion to Christianity. Pulling back onto Route 1 you’ll soon get to the Myvatn Lake area in Northern Iceland. 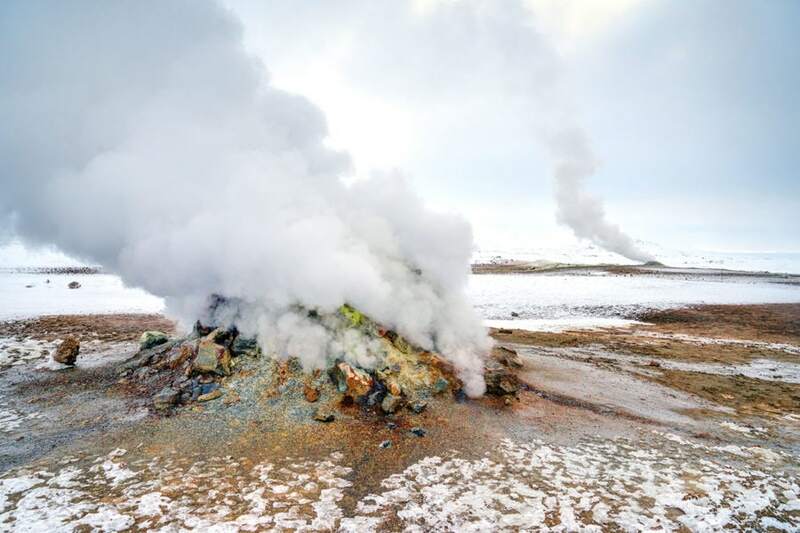 Volcanic activity is high, with some fun hot springs & other geothermal features to explore. One such place is Námafjall Hverir geothermal area [MAP]. 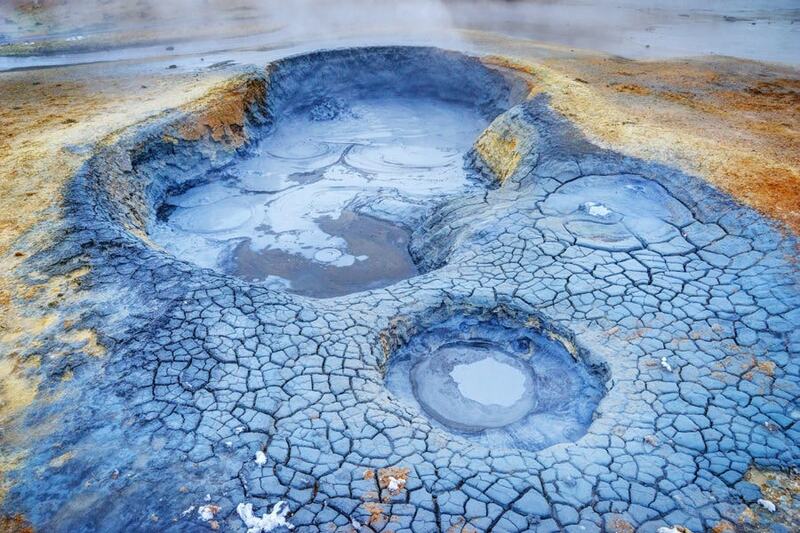 You can get up-close-and-personal with boiling blue mud pits or steaming fumaroles. Akureyri has tons of activities to keep you busy, but one, in particular, was pretty special. Flying over Iceland’s most recent eruption at Bárðarbunga Volcano (also called the Holuhraun eruption). On August 2014 lava broke through the surface there and was spewing huge rivers of molten rock. Flying over an erupting volcano had been on my bucket list for years, and I’m so happy I got to witness the power and fury of nature up close like that! For scenic flights over the volcano I used MyFlug.is. Booking a small plane is MUCH cheaper than a helicopter. 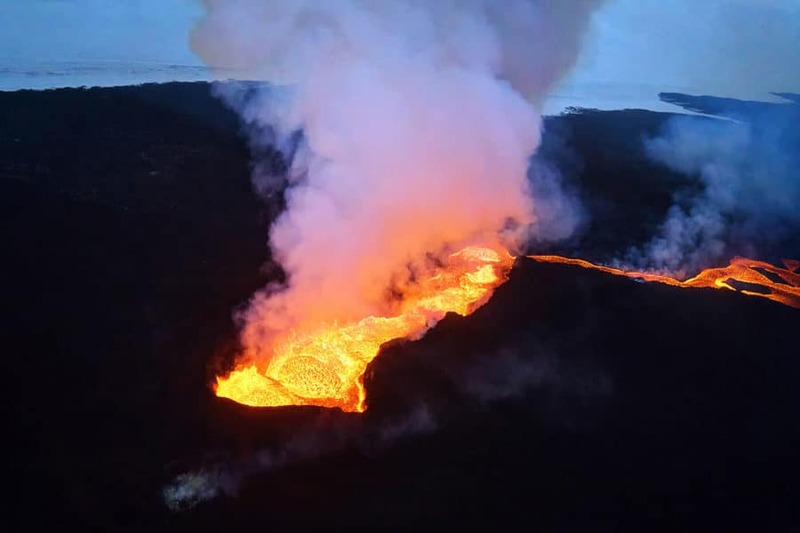 UPDATE: The Holuhraun Eruption ended February 2015. There are currently no erupting volcanoes on Iceland, but that will probably change in the future. Because I was waiting for the weather to clear up for my volcano flight, I didn’t have a chance to go whale watching in Iceland. But it’s a very popular thing to do at the fjords around Akureyri. The whale season is from June to October. Apparently, you can spot bottlenose, humpback, and minke whales. 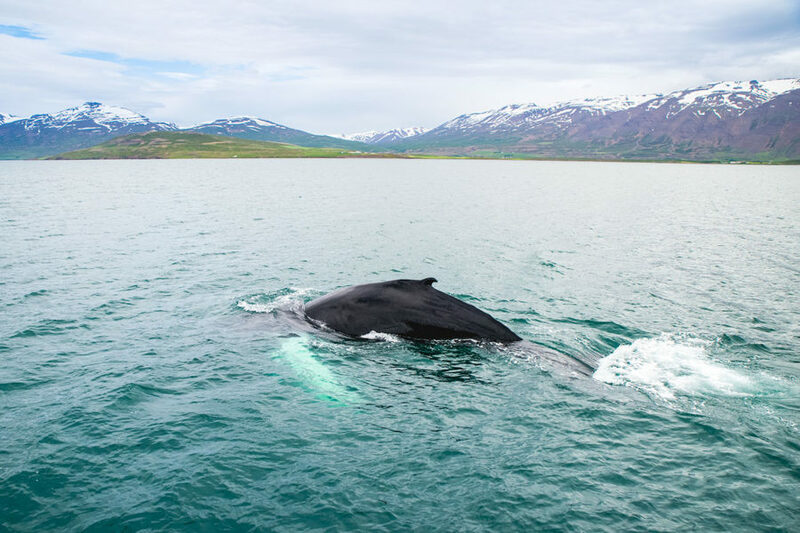 You can learn more about whale watching in Akureyri here. 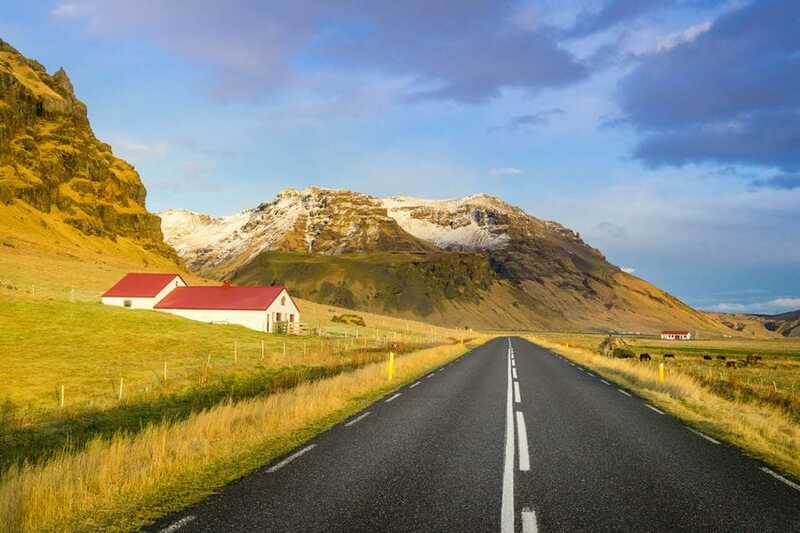 Depending on how much time you have left, you’ll either want to head straight for Reykjavik or drive around the Snæfellsnes Peninsula (sometimes called “Little Iceland”). I drove all night in order to make time for the peninsula. 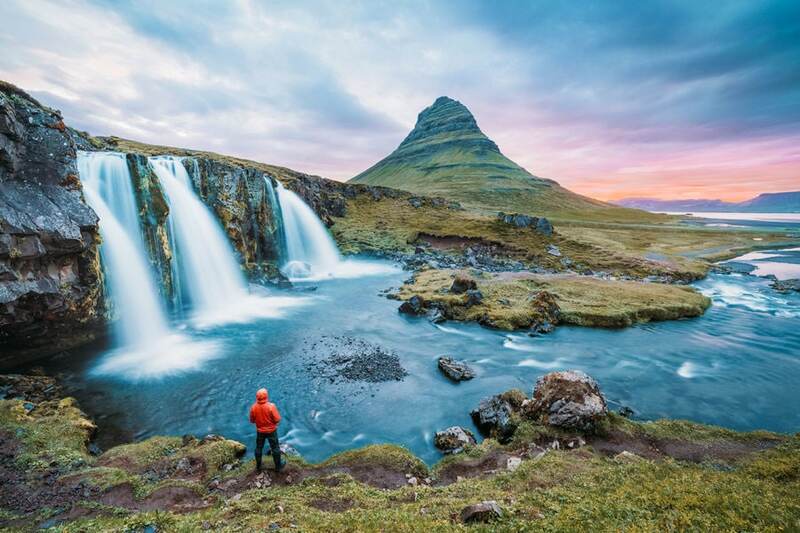 Snæfellsnes is where you’ll find Kirkjufellsfoss, the most photographed waterfall in Iceland just West of the town of Grundarfjörður. One of my favorite things about Iceland is that’s it’s easy to leave the hustle and bustle of big city life behind. 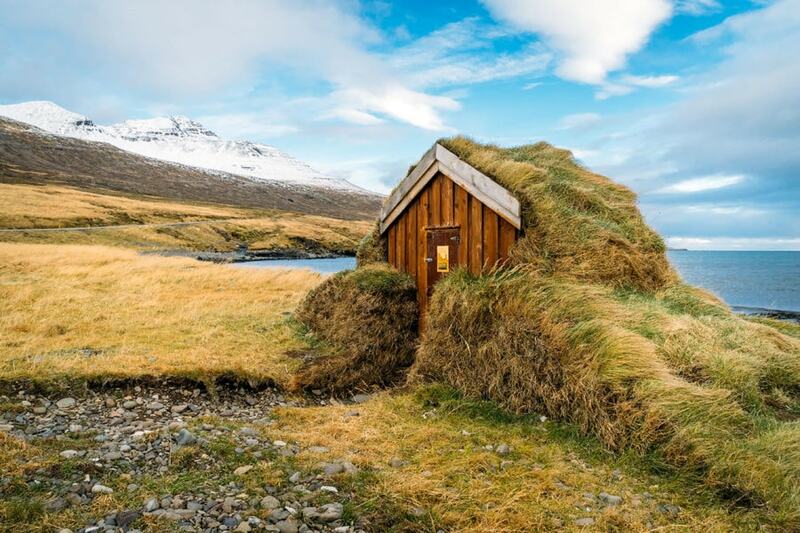 Búðir fully embodies this sense of wonderful isolation by having only two structures in the entire hamlet: a hotel and a tiny church named Búðakirkja. This black church sits inside a lava field, and it also has a lot of green space behind it. Be careful not to fall into any of the big holes that dot the grassy landscape. If you made it back to Reykjavik and have a few more days to spare, there’s plenty to do in Iceland’s capital city! Reykjavik is a vibrant city full of cool street-art, great nightlife, modern architecture, and interesting things to do. Iceland’s Hallgrímskirkja Church towers over Reykjavík and is the tallest church in the entire country. Naturally, this has made the expressionist architecture one of Iceland’s most popular tourist attractions. The two most noteworthy aspects of the church are the beautifully detailed statue of Leif Eiríksson and the huge, mechanical pipe organ. Make sure to take the elevator up to the top for some very cool views of the city. The glass facade of this modern Icelandic building is really impressive. Harpa Concert Hall is worth touring even if there are no performances during your visit. But if you’re lucky, you may be able to catch one of the Iceland Symphony Orchestra’s weekly concerts there. At night the whole building pulsates with colored lights, putting on a show of its own. This natural geothermal pond in the middle Reykjavik attracts geese, swans and ducks year-round, along with picnicking families and couples looking for a romantic walk. Locals call the pond the “Biggest Bread Soup in the World” due to all the bread that’s offered to the birds. A little environmental tip is to offer seeds instead of bread, which is healthier for them. 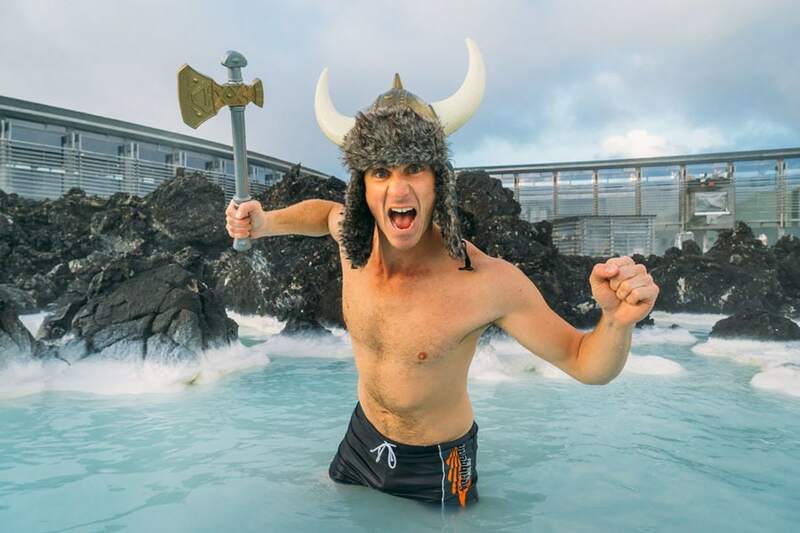 While not technically in Reykjavik, you can’t visit Iceland without a dip in the famous geothermal Blue Lagoon. It’s located about an hour away from the city center, closer to the international airport. Visiting the lagoon is expensive, but worth it. The Blue Lagoon is not REALLY a natural lagoon, it’s actually man-made using surplus water from the nearby geothermal powerplant. But bathing in the warm mineral-rich waters surrounded by Iceland’s dramatic volcanic landscape is still fun! Seven days is the minimum, but you’ll be pushing it. In fact, I’d recommend at least 10 days so you don’t feel rushed and have time to relax, maybe spending a few days in one spot. I also recommend saving a day or two to explore the capital city of Reykjavik too. The best time to visit Iceland and drive the Ring Road depends on what you’re after. For the best weather, the summer high season of June, July, and August is good. But the shoulder season of September & October has fewer tourists, shorter days, and better chances to see the northern lights! How do you shower if you’re in a campervan? Well most towns have heated public swimming pools that you can visit for $3-$6 USD. Or, you can pay to use a shower at one of Iceland’s many campgrounds. Sponge-baths work too! Regular bathrooms are available at most tourist attractions, restaurants, and gas stations. Speaking of the weather, it changes quickly in Iceland. A sunny morning can easily turn into a whiteout blizzard. Bookmark the website Vegagerdin.is for real-time road conditions. There’s even a smartphone app. Travel Video: Ring Road Adventures In Iceland! Discover Car Hire is a great site for comparing car prices to find a deal. Also read my tips for driving in Iceland. Are you planning a trip to Iceland? Any questions about driving the ring road? Drop me a message in the comments below! Iceland is one of the mysterious place on earth which came popular recently in past two years. I always want to go to this place, one day i will visit iceland. I am traveling with someone who is not handicap, but needs to avoid extensive physical activity. Is your plan, and traveling Iceland in general, realistic for someone with these limitations? Any suggestions are appreciated. Hi, I’m from Ireland. The driving directions are different in Europe. I’m planning to rent a car. Will it be easier for a foreigner to start up driving on the right side of the roads? Also recommend if Scooter ride along the ring road would help? Iceland is such a unique and beautiful country! What I love about it, is that it’s equally beautiful during summer and winter. I have visited in both seasons and would absolutely love come back! How did you find experiencing Vatnajökull? I wasn’t able to on either trip but it seems so amazing! Thanks for such a detailed post! I’m planning our trip there in October and can’t wait. I was already thinking 10 days so this pretty much solidified that for me. Now to decide where to spend a little more time… Did you spend any time in Skaftafell? Does this Ring Road trip include Golden Circle tour as part of the 7 days? If just renting a car, not a campervan, and thus having to spend nights in accommodations, can this be accomplished in 7 days? (without the extra activities like trekking or whale watching). Yes, it does include the Ring Road portion of the trip. While you can drive the Ring Road in 7 days, I’d recommend at least 10, otherwise you’ll feel a bit rushed, and won’t be able to stop as long as you’d like at each highlight. Combined with possible bad weather some days — 10 is a safer bet if you have the time. First of all a huge thank you Matthew. I used you Ring Road blog as a basis for the most memorable trip of a lifetime. I even proposed to my wife while overlooking Ásbyrgi canyon. I can say that even 10 days in tight as we had 11 days of driving time and despite a well planned itinerary still felt rushed at times. This despite the fact that we took full advantage of almost constant daylight and had many 16 hour days. The problem is there are so many beautiful places you see while driving between so called destinations you can’t help but stop and check them all out. My only regret was not following your counter clockwise route around the island. We went clockwise so we got to the Golden Circle towards the end of trip. I don’t know if it was lack of sleep at that point but the insane crowds in the Golden Circle actually really irritated me despite the beauty around me. Again huge thank you for making the trip so easy to plan and for those of traveling with people who don’t camp the air bnb’s are a fabulous way to meet locals and get tips to hidden gems that the tourists have no clue about! So glad you had a great time Wolfgang! Congratulations on the engagement too! Yes, you could easily spend weeks trying to see everything in Iceland — there’s just so much beauty there. If you only had three days and you wanted two or three highlights which and where would you choose? Nice post, Iceland is an amazing travel destination with its breath taking ice caves, Northern Lights, sea, volcanoes, glaciers and geysers. Last year I had gone to Iceland with my friends for travelling. We visited some places of Grand Golden Circle. Our tour was so awesome, thanks the travel agency Go to joy Iceland to make our tour successful. Are there any ultra-reliable companies that will schedule the 7-day itinerary for you, with lodging and car rental? We are going in the beginning of April 2018 and we are renting a camper van. I was wondering how you decided where to park and sleep for the night when you went on the Ring Road? Is it just anywhere there is a spot of area? I heard it is common to ask the land owner for permission to park and camp on their land. Any tips you may have would be awesome! Did you have to park in campgrounds when you were traveling around or were you able to park off road in some areas? I am planning to go to Iceland In April and can’t decide if we should rent a car and book accommodations or stick with the camper van. Any input would help, thank you! Hi! I want to rent a campervan but I’d like to be able to take it in the highlands, and will need a 4×4 vehicle. There are many other campervan companies, and I’m wondering if you have had experience with any others. According to the happy camper website, they do not have 4×4 vehicles. So were you able to go everywhere you wanted without 4×4 vehicle? Just curious if it’s necessary, I’d hate to miss out on anything. Thanks! Iceland is an amazing travel destination with its breathtaking ice caves, Northern Lights, sea, volcanoes, glaciers and geysers.One of the most famous places in Iceland in winter is the Jokulsarlon glacier lagoon and for this it is best to choose a two-day tour that gives great time to explore ice caves and the glacier. Last time I had a tour to there through DISCOVER. It was Just amazing.L visited all the places. Excellent article about Iceland and beautiful photography! It is on my list and hoping to visit really really soon!!! Great article and tips. I will be traveling with my best friend to Iceland in April. How are the roads during this time of year? We’re a bit cautious and having second thoughts about driving since 1) we’re not very experienced in driving in snow 2) we haven’t done right hand driving. How do we maximize our experience if we don’t drive and just do tours instead? Are there public transportation available? Thank you and keep on traveling! I just got back from an adventure along the Ring Road+ in 2 weeks. I can’t imagine doing it in less time. You really do stop every 5 minutes. There are waterfalls around every corner. Iceland exceeded my expectations. Wow! Can you please recommend accommodations along the ring road? I’m planning a 14 day trip to Iceland and already booked my first 2 nights in reykjavik.. Still need to book the accommodations (different cities along the ring road) for the remaining 11 nights last night being in reykjavik. I really appreciate the help. Wow. Thank you for this article!! Will be using it when I’m ready to go to Iceland next year! Thank you for the amazing post! Super helpful and intriguing. I’m planning a trip this December and would potentially be interested in the camper van; also want to hit up the ice caves and would be there arriving in Reykjavik early morning on the 4th and leaving on the 10th. Would ring road be too condensed for that duration? Hi Rachel! Glad you liked my Iceland Ring Road article. While it’s certainly possible to drive the Ring Road in that time, I think you will feel a bit rushed, and have to skip some things. But it’s doable. Good read!! I plan on doing this drive next summer with my teenage daughter. I’ll probably follow this itinerary closely. The only issue I’m having is trying to pre-plan/book places to stay each night. Any advice, tips, or websites that can take care this for me? Thanks! I’m a big fan of Booking.com for finding deals and ease of use. What camera did you use to take these beautiful pictures of Iceland? I love this article I will be traveling to Iceland Nov.5 to Nov.11. I will be 50 and the lights are on my bucket list. I’m not a activities like hiking, glacier climbing. I am a plus sized lady and love adventure. I was thinking one central location then day trips, I’m thinking might be better to stay at different places. Help? I’ll pay for you time. This is awesome! Thanks so much for all the tips! I’ve been panicking and therefore procrastinating creating a lose itinerary for my trip coming up in September. Do you have a map of your route? I’d love to reference it! Hi Matthew, this sounds like an amazing adventure . My husband and I are traveling to Iceland September 21 – October 1, 2017. We are going to travel the Ring road thanks to your article. I would like to know if you could give me a list of towns to stay during the 10 days on the road as our last day and night will be in Reykjavik. If its possible to stay 2 nights in each town. Or just let me know if its the towns marked on the Ring Road map above or only the towns you list in your itinerary . Also what is the driving time between each town(not including stopping time) to spend the night. Thank you, any information is greatly appreciated. I will be there the same time, and would like to know the same information! I am also wondering about where to stay each night along the Ring Road! Very cool article, most helpful blog I’ve read so far! No, I didn’t stay in any of the campgrounds when I was visiting Iceland, as you could just pull over and sleep anywhere. Things seem to be changing fast! Yes for sure! You shouldn’t have any snowstorms to worry about in August. The road is plenty safe. Where abouts was that abandoned bus? Amazing guide Matthew! I really appreciate all the tips! I visited Iceland in July 2014 and I’m aiming to go again this year around September – November. 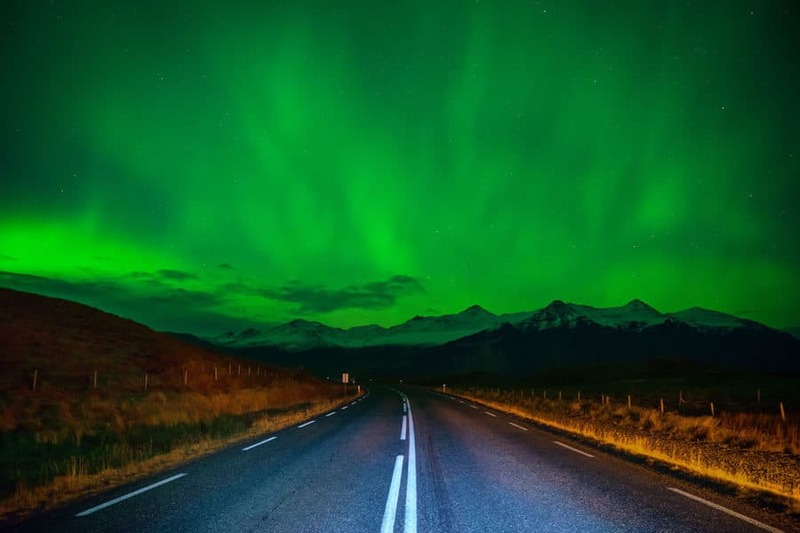 This time round I’d like to drive the whole ring road but I’d also really like to see the Northern Lights, what month would you recommend the most? Thanks! What time of year did you drive the Ring Road? I want to do all the things and also see Northern Lights! Thanks! I enjoyed reading your post! Beautiful pictures! My husband and I just booked a trip Sept 20-30. Do you have a suggested itinerary for a 10 day Ring Road trip? Also, i saw on the Happy Campers website a note that says “New legislation prohibits parking overnight in a camper van outside organized campsites or urban areas.” Do you think there are enough locations in key areas to park for the night to still make this a do-able option? Hi Mathew for great details from your trip. I am debating either to rent a car, SUV or a camper. I am going mid April with my daughter for a week then I will be alone for the rest. Don’t know what type of vehicle to rent during this time. I would love to see the caves and climb the glacier but it appears that is not the best time to do this. I also heard it is extremely expensive. I guess you did your camping in their summer months? I am a bit confuse. It seems you went twice there. Any suggestions I would appreciate it so much. Thanks for your info on ring road. It is very well written and give us valuable detail. I am preparing a road trip mid March to end of March. Do you think it is possible? I can afford 10-12 days road trip, which can cater for sudden change of bad weather. Hi, we’re a family of 3 (teenage daughter) planning to visit Iceland with the ferry taking our own car for 8 days end of July. Would you recommend doing the whole ring? Oh cool! I didn’t even know it was possible to bring your car to Iceland on a ferry. Sure, I think you can drive the whole ring-road in 8 days if you needed to. You won’t be able to see everything, but you can do it. I just love your blog, it’s so full with in good information! Congratulations on it! I was hoping you could answer me a tricky question..
I’m going to Iceland this year from 27march to april5 and like you Ild love to do the volcano flight and the hike to the glaciar cave, but I’ve serched in the websites and the hiking to the glaciar caves are only opened until February,but the flight in the volcano is not available until may! When were you there? How did you manege to do both things in the same trip?? I would really apreciatte your answer! Hey Sarah, yeah the ice caves are only possible to visit in the colder winter months for safety reasons. I visited the caves in November. I also flew over the erupting volcano in February, but the volcano I flew over isn’t actually erupting anymore… I should really update this Iceland ring road guide with that info. As far as I know, you won’t see any molten lava right now. However scientists think Iceland may have another eruption soon, so who knows! Planning a 10-day trip including New Year’s Eve from Dec 26 to Jan 5 in Iceland. Do you think it’s possible to do the ring road trip during winter or is it pretty much just the west and south side due to weather? Hi, your blog is very helpful. My friend and I are traveling to Iceland, however it’s only a short trip(March 1-4). We are pretty much staying in Reykjavik and has already booked some famous tours. We are renting a car and I would love to visit Akureyri as well-how is driving up there(to Akureyri), is it possible to do a day trip there? Do you think it would be better for us to just cancel the bus tours and just drive on our own? If we only have few days to spend in Iceland what would be your recommended itinerary? Thanks…any suggestions/advice would be greatly appreciated! Hi , thanks for all the information , it will will make my trip to Iceland easier. One question i’m still in doubt about is the insurance. Do i need an insurance that covers for natural calamity ? e.g. volcano eruption ( will keep airlines stranded ) … or not the case ? Your post has been very helpful in planning my Iceland trip! I have a question for you about renting and travelling in a camper van – was it tricky to navigate and drive the roads in a van that was not 4X4? I will be going in April so I think the roads may still have some bad conditions at times. wooow. this blog is amazing! thank your for your work! I have visited iceland last summer for the first time to get some cinematic inspiration, but after reading this blog I gotta go again ? This was great! I’m going to be in Iceland early March. Do you think this drive would be accessible in winter? Any recommendations on a good car rental agency to go with for a 4×4? Thanks! I can travel to Iceland anytime from early March to mid May, any recommendations which 7 to 10 days would be best to visit during this time? Any chance of seeing auroras as late as May 7-11? So, you are on the road. How do you deal with restroom and shower? Well, I was by myself for this leg of the trip, so I just heated some water in the van and took a sponge bath most days. However you can also stop at campgrounds and pay for a shower, or at one of Iceland’s many public heated pools, located in most towns. Prices range from $3-$6 USD. Happy Camping the Ring, but only have 6 days to do so. The advice is clear: 10 minimum, 14 best, but one poster did it in 5 days and he said he’s so glad they did. So how about it folks?? Is this a 50 KPH road, or is it that there are just so many awesome things to see you’d miss the awesomeness in the rush? Should we undertake 6 days in October, or stick to the golden circle and the like out of Reykjavik? If you have a choice with only 3-4 days which way would you travel from Reykavik *traveling with kids fyi, and would love to know the best coolest things that a 12 year old boy might like to do. Did you have any trouble that time of year finding campsites or places that allowed you to pull over? We are planning our trip end of October/early November, and we’re hoping to go the Campervan route as well. I was just reading through a forum that worried me saying October is too dangerous for campervans and that pulling off to the side of the road isn’t as easy as it sounds because Iceland is trying to prevent this. They also mentioned no camgrounds are open during October. Did you struggle with this at all? Advice is greatly appreciated! :) Thanks! I’m trying to the same as you did this year (Ring circle in October) and I have the same doubt as you had. Did you made the trip? If so how was your experience? 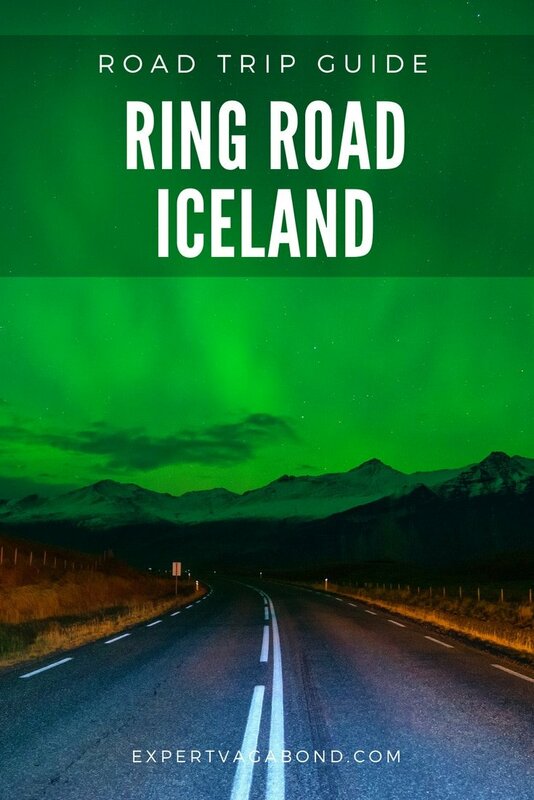 I am visiting Iceland in October and am wanting to do the Ring road similar to you with hiring a camper van. Can you please tell me where you stopped and stayed overnight? Are there pull off bays or do you have to reserve spots at camp ground? Thanks so much for all your Iceland posts, especially this one. I used it extensively to plan out our trip. Just got back from a fantastic 10 day Iceland trip and I used a lot of information that you provided in your posts! Hope to travel from Sept 15 for 10 days ~ anyone interested in doing the ring road for photo shoots let me know ~ gonna book to stay in B&B’s hopefully along way…. I am planning to go to Iceland end of October/November. I will be there for 8 days, the first 5 days I want to do this road trip, and will be spending the last 3 days at Reyjavik for Iceland Airwaves music fest. If anyone’s there around the same time or planning on going get in touch we can share cost of the road trip and just enjoy the company. I am 27 years old Male. My husband and myself will be in Iceland for 9 days. 20 sept to 28 sept. We have booked our accommodation along the ring road. We plan to hire a 4×4 or would even like to share if anyone has already booked a car hire. Please contact if the dates are suitable. Hi the PIN code is not really needed , you can just pay at the counter or get a prepaid card from N1 and then use it on your trip. Snaefellsness is really a must do if weather is good and even going up to the glacier in a 4×4. Eldgja to Landmannalaugar drive was amazing , 4×4 required but the most beautiful road i saw and I believe only open until Sept 1st. Dyrholaey and road 215 to the black beach and basalt columns. Hey man love your info and advice. Going to make this same trip in Iceland in December? anything you recommend? 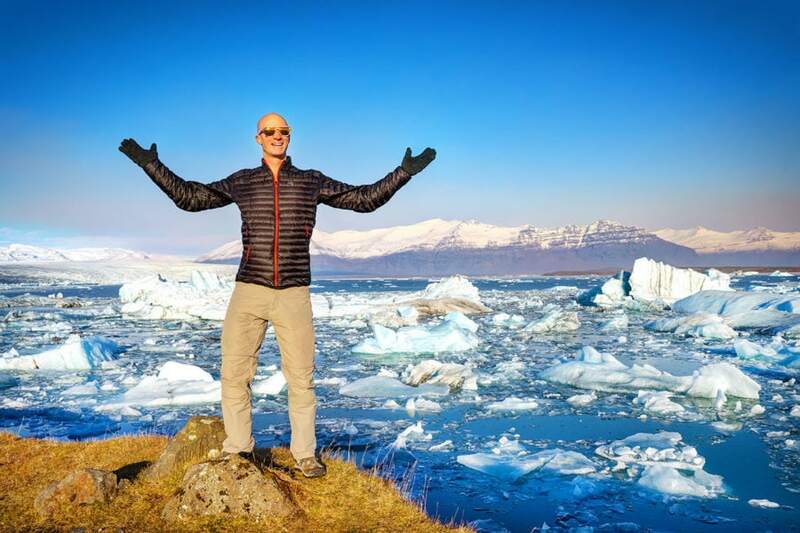 Thanks for this post – you’ve got some really good info and photos here which are making me want to visit Iceland even more! Quick question – what camera (and lens, plus any other gear?) did you use for these images? They are great. Thanks for this! Really helpful. Just booked tickets for 2 weeks in Iceland next month for an impromptu trip :) Nothing planned yet but I think I have to start soon! ;) Exciting! First of all it’s a great article. Thanks for sharing this… It definitely helped me to plan what I am going to do and provides a good idea for stop-go in my self driving trip. Second I’m coming to Iceland with my wife on Sep 6 (early morning at KEF) from US – 11 Sep. I know the time is tight and we might some awesome places, but I’m definitely interested in covering the entire ring road. If anyone if interested in joining us for the trip you’re most welcome to share the cost of ride and get a company. I have already booked a vehicle and its roughly costing me $600 for the trip (plus fuel, roughly $300 additional). I am there 22nd September – 5th October. Already booked a car. Have myself a tent, but happy to find accomendation. Great article this, cant wait! Bummer! I’m going alone at end of October. 30yo American female, if anyone wants to connect! My sister (30y) and I (26yo) are planning on going the end of October but we don’t have our driver’s license. We’re from New York – what dates are you going? What dates will you be in Iceland? I will be there on the 16th and leave on the 22nd. I have rented a 4×4 vehicle already and plan to do the ring road. Let me know if these dates coincide with your dates. Hello people – I will also add my name on this list. Im 32 from Bristol, UK. I will arrive in Iceland on 22nd September (the day after my birthday if your going to get me a gift) and will be there for 2 weeks. Planning on renting a car and sleeping in a tent, totally on my own with nothing to do. Was hoping to find anyone else who is also on their own, or in a small group and dont mind me joining. Would be great expereince to share, and I am sure there is tons of things we can do. Hey Christov! I’m traveling alone also from September 24 to October 6. Hoping to connect with one another person who is doing the same and our dates kind of (sort of) coincide.. Shoot me an email and let’s discuss the possibility of meeting up. how far can one get in 5 days coming and going??? I will be travelling solo in Iceland from 29th July to 3 Aug. I am looking for travel mates particularly for sharing rides. Let me know if anybody has a place. Hi guys – planning to do this sometime around Sep, 8-15 and looking for company! Email me at [email protected] if you’re looking for a travel buddy, I’m a 27yo male from the US. Thanks! Did you set dates? I’m going end of Oct. Awesome blog! So much information! I’m arriving in Iceland on the 27th and am planning on driving the ring road! Anyone interested in sharing gas and car rental costs. I’m into nature, photography, animals and camping. Let me know! This is great! Thank you! Did you happen to see any mountain biking opportunities along Ring Road in any areas or towns? We would love to do this drive but def would love to be able to stop along the way somewhere and do some MTB. What a cool blog! Thanks. Hello! Me and my friend will be traveling to Iceland and taking this roadtrip, we are pretty laid back. So if you are interested in joining us to split costs, send me an email to [email protected] We are 31 and 27 y/o from Costa Rica. Important to note, we will be there from September 16th to the 26th. Cheers! Me and my wife are looking forward to cover the above suggested itinerary and would love to share the cost of Car and Fuel. If anyone (preferably couple) is interested in joining along during 14th-23rd Oct’16, do let me know. My husband and myself are planning to travel in Sept or Oct and planning about 10 days. Are your dates fixed. Are you planning on booking a 4WD. Also please let me know about accommodation. Hello, I think I will be there exactly in the same period, I came alone and I would like to do the same trip + Blue Lagoon! Maybe we can talk and share the costs! My friend and I are going to Iceland almost the exact same dates and hitting this route. We were looking to rent a 4×4 to be safe and have peace of mind but it’s quite expensive. Wondering if you were still looking for anyone to share the fuel and cost? We’re there Oct 12-24. Hey Kathy! You could use Reykjavik as a base for a few days, but after 3 or 4 you’ll have covered most of what you can see from there in one day. nice reading your travel experience in Iceland! I am going for a week in September and I am trying to figure out if renting a 4X4 car is absolutely necessary to explore the back roads. My budget is quite low and wanted to avoid the extra cost. Can I rent a regular car and still enjoy some of the great locations, outside of route 1? Thanks! Hello evryone. I planned to visit Iceland in September, anyone want to joined me? I was reading everywhere that is cheapest if you travel in a car. Hi I plan to visit iceland for 8 days towards end of September. Hi, I’m planning a solo trip to Iceland from London, 12-16 sept. Anyone keen to do the road trips together to share cost? My name is Asdis and i live in Iceland. yes it is necessary to rent 4×4 to travel the back roads and also if you are going over river. Please be careful and always have fully charged gsm and extra battery also GPS we have had to many accidents this year sorry to say. Hope you have a wonderful time here and yes ask for icelandic map for the GPS.